A HUGE WIN FOR WASHINGTON STATE! Governor Inslee made the final ruling on the terminal in Vancouver, WA, and has made the right decision – Washington state should be a clean energy leader, not dependent on dirty fossil fuels. This is huge win for our communities, click through to learn more! Click here to read about the history, the threats and the victories! 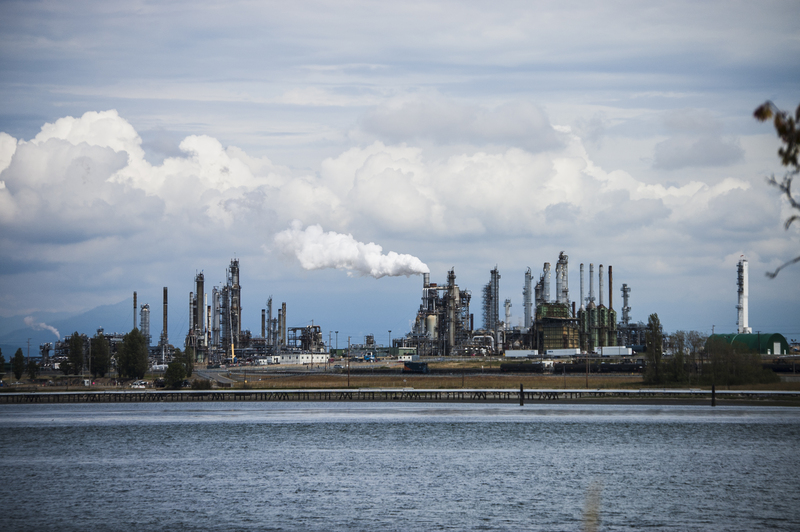 Click here to read the Council unanimously recommended denial of the Tesoro Savage oil terminal in Vancouver, Washington. Rapid and dramatic changes to oil transportation pose serious new threats to Northwest communities, economies and waterways. 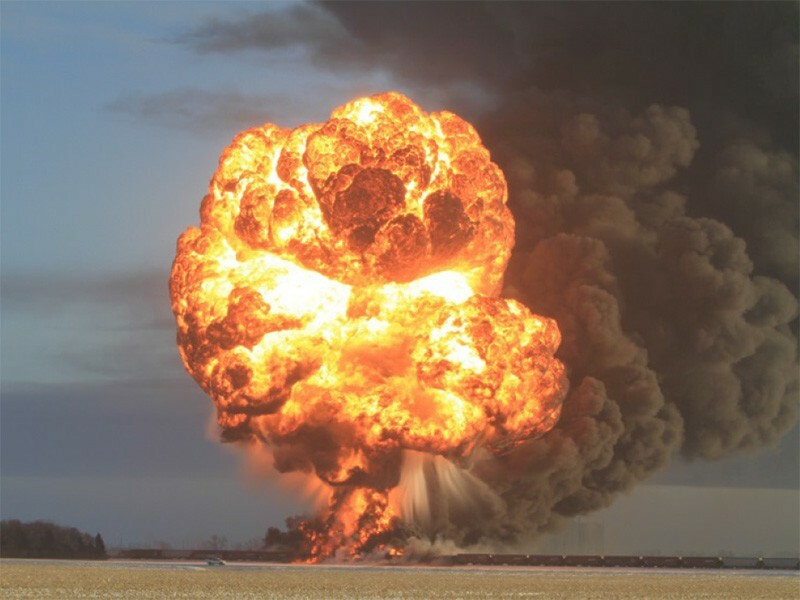 Oil companies stand to make huge profits while Northwest communities bear the risks and costs of explosive oil train derailments, a huge increase in rail traffic, and oil spills from trains, tankers and barges into our rivers, streams and coastlines. Currently, all or most of the oil coming into our region by train is headed to refineries on the coast. But companies like Tesoro, BP, and Shell have bigger plans to export millions of barrels of crude oil overseas through the Pacific Northwest. The enormous capacity to store and ship oil from proposed new terminals far outstrips the amount used by existing refineries. 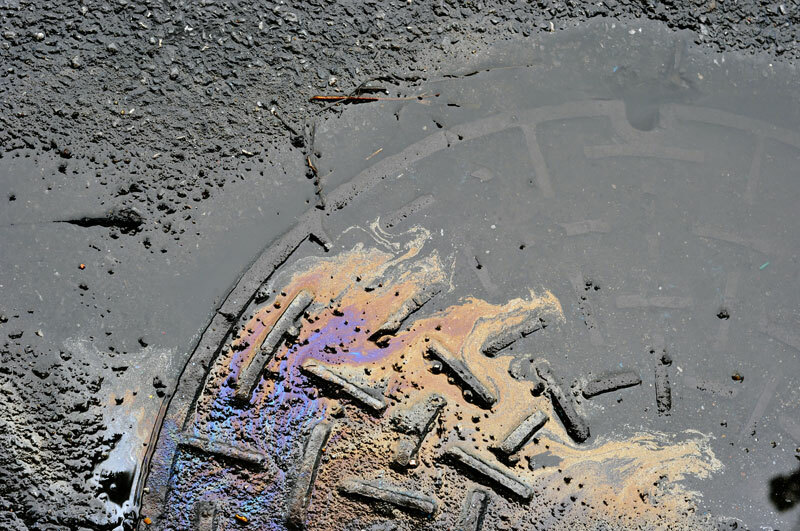 Volatile Bakken oil from the Midwest and toxic and heavy tar sands oil from Canada – pose unique dangers to public health and the environment. Tar sands oil generates much more of the pollution responsible for climate change than conventional oil and uses large amounts of energy and water to extract. Heavy tar sands oil can also sink when spilled, resulting in devastating oil spills, which are virtually impossible to fully clean up. Building proposed oil export terminals would only slow the transition to a clean energy economy. We can do better! 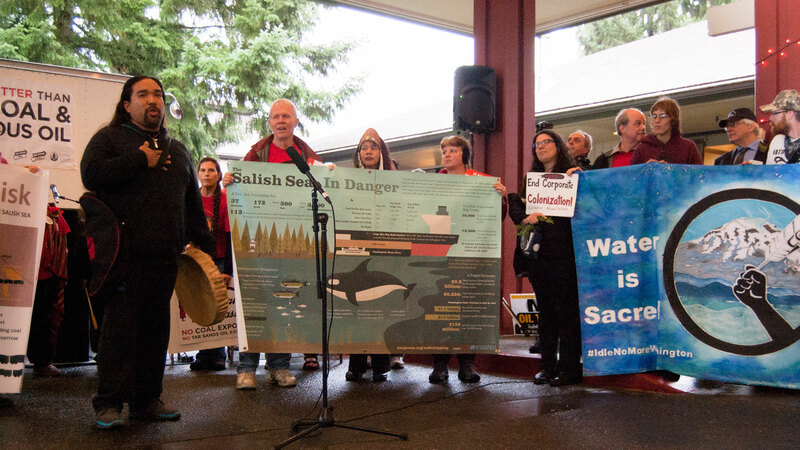 Across the Northwest, people are standing up and speaking out against these proposals: Tribal nations, local elected officials, businesses, emergency responders, health professionals and faith leaders. 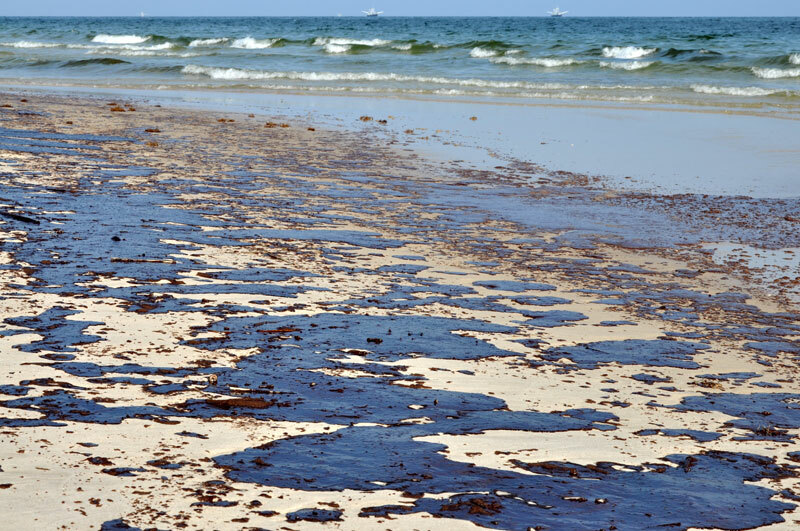 Join Stand Up To Oil and help fuel the change needed to protect our communities and waterways. Join Stand Up To Oil! 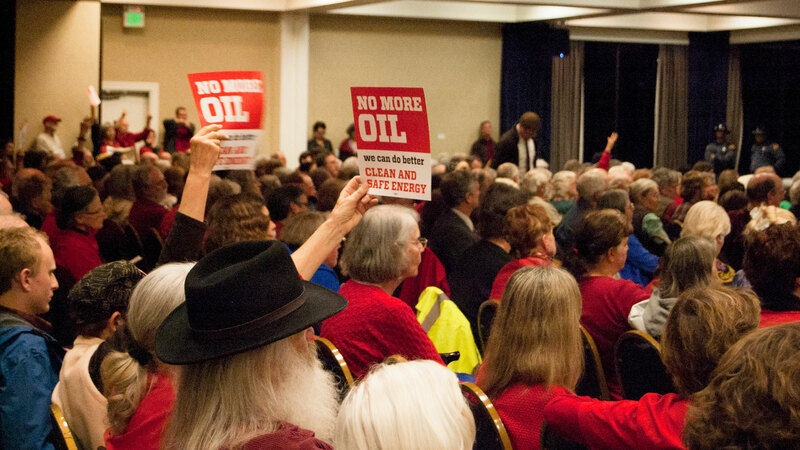 Stand Up to Oil is a growing coalition of groups opposed to new oil terminals and an increase in oil transport through the Northwest, while working to improve safety measures for oil currently traveling through the region. 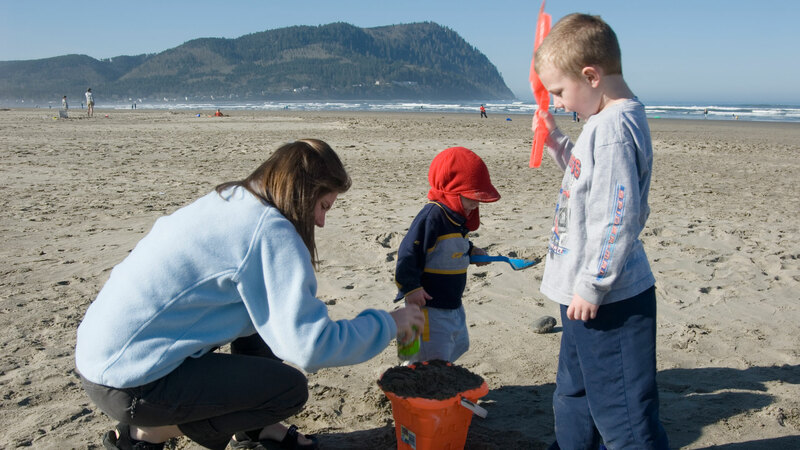 Core members include: Climate Solutions, Columbia Riverkeeper, Earthjustice, Friends of the Columbia Gorge, Friends of the Earth, Friends of the San Juans, The Lands Council, Oregon Physicians for Social Responsibility, RE Sources for Sustainable Communities, Sierra Club, STAND, Washington Environmental Council, and Washington Physicians for Social Responsibility.